Ahead of municipal and European elections in 2019, today we look back at moments in history when the Autódromo de Terramar was the scene of rallies for some of the most high-profile figures in Spanish politics. The first example dates from the 1920s – April 29, 1923, in fact, when the construction of the oval-shaped race track had only just begun – with the Spanish parliamentary elections. Manuel García Prieto, Liberal party leader, prevailed in the vote and remained at the head of the government, followed by José Sanchez Guerra of the Conservative party and Francesc Cambó of the Catalan Regional League. The election marked a historic success for political Catalan nationalism, which, beyond being the leading political force in Catalonia, was propelled to third place nationally. Cambó became a key figure in Conservative reform at the national level, and even held ministerial posts on several occasions. King Alfonso XIII was said to be in favour of asking him to take over the government, but Cambó would have refused, preferring to focus on Catalonia. During this golden age of monarchic Catalanism, Cambó traveled throughout Catalonia and Spain to present his political project. The Autódromo de Terramar was one of the major stops on Cambó’s journey, an event which was captured for posterity by photographers. 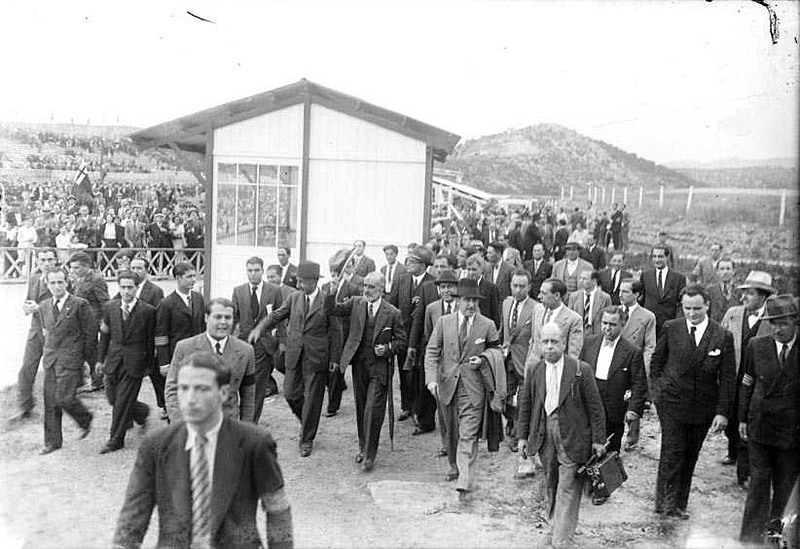 As can be seen in photos from the time, the man from Verges (near Girona) spoke in front of a large crowd at the race track. And even if the Autódromo does not plan to host a political rally again in the future, we will continue to share historical pearls from the circuit’s archives in coming weeks. See you next week!